They also help you stretch your essential oils. I think we've all done it: you want a quick body/hair oil or skin treatment so you put a little carrier oil in your hand and then drop essential oils into it. I also think we've all let an extra drop or 2 come as we're pouring essential oils when we're too slow on the upswing. Anyway, it all adds up so when we can dilute once for many (many!) uses, we're being more economical. Essential oils take a lot of plants to make and they are expensive, so this is good. You don't need to use a lot: It takes 60,000 roses to produce one ounce of essential oil; of course they're powerful! I make and sell some blends and even some simple diluted essential oil roll ons. I also tend to make them on the fly when I want to test something new or when I get an idea for a perfume blend. If you're like me, you need me to remind you to label these experiments when you make them and write down your recipes so you can replicate what you make if you want to. Making them is simple: you simply add carrier and essential oils to a glass roll on bottle and shake it gently to combine the oils. I aim for a 2% dilution, which is 12-13 drops per ounce of carrier oil. Inhaling this oil invites the scent into the amygdala gland in your brain to initiate a calming effect on your entire mind and body. Mix your concentrated essential oils with a jojoba or vegetable carrier oil. 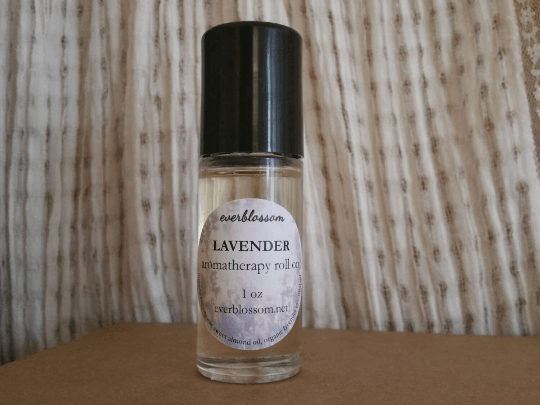 Check out my handmade aromatherapy + perfume roll ons here! Wow.. This is amazing. I’ve always wanted a little essential oil roll on to carry about in my bag. But this is a scary fact. 60,000 roses for one ounce of essential oil? Too sad! Lavender oil also is great for brain soothing too.